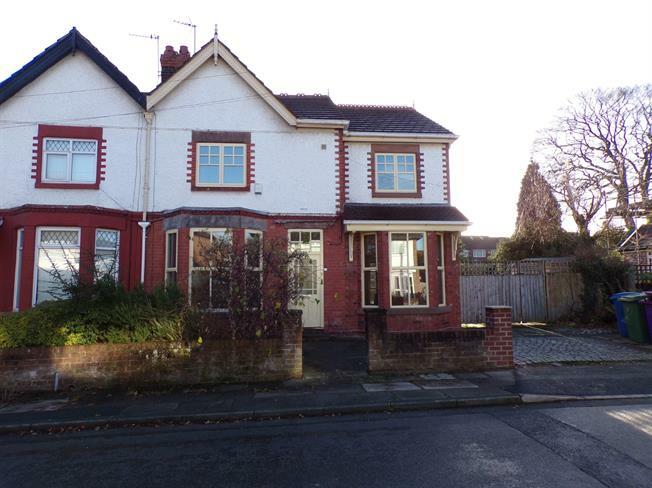 4 Bedroom Semi Detached House For Sale in Liverpool for Offers in excess of £300,000. Entwistle Green are offering for sale this extended and improved semi detached house located on the right hand side of Well Lane when accessed from Gateacre Park Drive travelling towards Hartsbourne Avenue. This area is highly sought after, having excellent local schooling, frequent bus links allowing easy access to the city centre, and both local and superstore shopping nearby. This property is situated on a generous plot with southerly facing garden. In brief the property comprises entrance hallway, lounge, open plan dining room to kitchen with wood burning stove, utility room with w/c and generous living room. Upstairs there are four well proportioned bedrooms, an ensuite shower room and a stylish family bathroom. Outside there is generous off road parking which can be extended further by opening the gates to the side, there is a generous walled garden to the rear with pond and large patio area. Sold with no onward chain, viewing is essential.